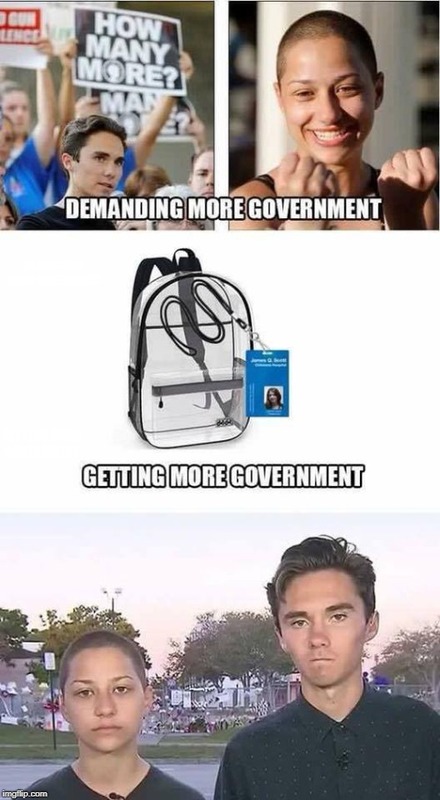 Keep it up idiots (using a clueless little child, David Hogg, as their useful idiot), and more will support the 2nd Amendment (figure it out the left is lying to them) and support a real President, Donald Trump, as they wake up from their libtard induced anti-American stupor! Oregon Democrat fools for leaders have lost their mind. Are "thinking" Oregonians really going to tolerate this anti American behavior in their State? MarchForOurLives organizers paid protestors $300 each to attend the March 24 protest in Washington, D.C, according to reports. If gun control really works, then why has London surpassed new york in murder and other violent crimes in new recent statics according to the bbc. It's about control of people not control of gun violence. They will endlessly push and setup false-flags until they can trick the Americans to give up their fire-arms like they did Europe a long time ago. This is just one giant setup. If they ever repeal the 2nd Martial Law in America will roll out the week after that. Shooting was 14th of February. DC event was 24th of March. Only 38 days later. The documentâ€™s requirements tend to be in accord with email correspondence from DC Police forwarded to European researcher Ole Dammegard and shared here last week. If this protocol was followed for planning the March 24, 2018 event it would mean that such paperwork for the March For Our Lives would have to have been filed on or before September 24, 2017. I'll let their classmates thank them for this. Of course, if they're seniors about to graduate, they could probably care less about this legacy. Weeks before he died, Fitzsimons had taken to social media to criticize calls for gun control after the Marjory Stoneman Douglas shooting, including posting a meme of student gun control activist David Hogg posing as Hitler. Fitzsimonâ€™s spontaneous death should be investigated. he took to social media to question the potential agenda behind the February 14 Marjory Stoneman High School mass shooting, suggesting that the event was being used to promote the Democratic Partyâ€™s gun control platform in anticipation of the 2018 midterm elections. Anthony Cumia was talking about how they want to get rid of knives, now in UK. There are plenty of reasons to carry a knife. It is a survival tool. One can cut their seatbelts to get out of a wrecked car. My husband (1st one deceased in 1979) always carried a sharp knife as an Eagle Scout. While at the ski lift a woman got her scarf caught and he cut her free or she would have been killed by strangulation or a broken neck. There are plenty of good reasons to carry a sharp knife. Weapons make for a polite society, but the globalists have disarmament in mind in order to turn us all into slaves. Sounds like a eugenics program like the nazi's to me .. While rare, the OCI occasionally pursues research abuses as a crime. A GlaxoSmithKline researcher, for instance, pleaded guilty in 2010 to charges related to her fabrication of data in a study of children taking the antidepressant Paxil. GlaxoSmithKline later agreed to plead guilty and to pay $3 billion to resolve its criminal and civil liability in the case. The fine against GlaxoSmithKline over Paxil, Wellbutrin, Avandia and the other drugs makes this year a record for money recovered by the federal government under its so-called whistle-blower law, according to a group that tracks such numbers. In May, Abbott Laboratories settled for $1.6 billion over its marketing of the antiseizure drug Depakote. And an agreement with Johnson & Johnson that could result in a fine of as much as $2 billion is said to be imminent over its off-label promotion of an antipsychotic drug, Risperdal. â€œWhat weâ€™re learning is that money doesnâ€™t deter corporate malfeasance,â€� said Eliot Spitzer, who, as New Yorkâ€™s attorney general, sued GlaxoSmithKline in 2004 over similar accusations involving Paxil. A warning was later added to the drug that Paxil, like other antidepressants, might increase the risk of suicidal thoughts in teenagers. Prosecutors said the company had marketed Wellbutrin for conditions like weight loss and sexual dysfunction when it was approved only to treat major depressive disorder. I don't buy any of this ... WHO is this kid's father ? what is his story ? Also I cannot find any news report of his arrest "in July 2017 " although I sort of remember the story last year .... or did I ? Police believe the suspect in a shooting that killed four people at a Waffle House early Sunday could be armed, despite the fact that authorities seized his guns following a 2017 arrest. 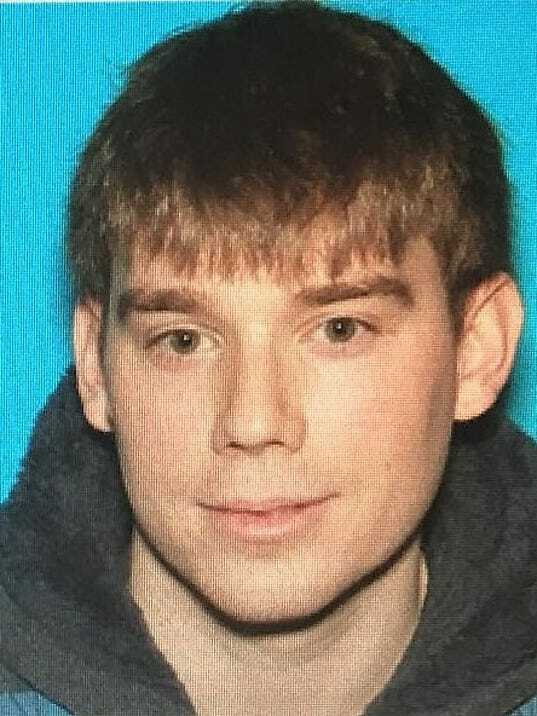 Metro police released the details Sunday afternoon, as a manhunt continued for the suspect, Travis Reinking, 29, of Antioch. Police say he moved to the Nashville in the fall and was previously from Morton, Ill.
Four of Reinking's guns, including the AR-15 rifle police said he used Sunday, were seized after he was arrested by the U.S. Secret Service in July 2017 on charges that he was in a restricted area outside the White House. Following the arrest, his Illinois firearms authorization was revoked. Reinking's four guns were given to his father, who has said he gave them back to his son, according to the authorities. Police seized the AR-15 used in the shooting and found another rifle and long gun in Reinking's apartment, but they have not been able to locate the fourth, which police described as a pistol. Reinking told agents he needed to see President Trump and defined himself as sovereign citizen who had a right to inspect the grounds, according to an arrest report by the Metropolitan Police Department in D.C. He was arrested on an unlawful entry charge after refusing to leave the area. The FBI has said sovereign citizens "believe that even though they physically reside in this country, they are separate or 'sovereign' from the United States." The agency has also defined sovereign citizens as "anti-government extremists who claim the federal government is operating outside its jurisdiction and they are therefore not bound by government authorityâ€”including the courts, taxing entities, motor vehicle departments, and even law enforcement." It's unknown if Reinking's 2017 sovereign citizen self-designation was in line with the FBI's definition or if it played any role in the Antioch, TN Waffle House attack, which left four dead. (July 2017) Nine months before the police said he opened fire with an AR-15 rifle on a Waffle House in Nashville, killing four people, Travis Reinking wanted to set up a meeting with the president of the United States. That, at least, is what he told officials when they charged him with unlawful entry after he crossed an exterior security barrier near the White House complex in July, records show. That arrest was only the latest of Mr. Reinkingâ€™s several run-ins with the authorities. Police reports show family members expressed concern for his welfare after an extended time exhibiting delusional behavior, including his belief that the entertainer Taylor Swift was stalking him and hacking his phone and Netflix account. After his arrest for the White House episode, Mr. Reinking, 29, who lived in Morton, Ill., was forced to surrender three rifles and a handgun to officials in August. Somehow he got them back â€” the authorities in Illinois said on Sunday that the circumstances were unclear â€” and in the fall, he moved to Nashville. Exactly, who is this kids father, his affiliations, etc? #The photo of the 3 guys outside his house. Just an opinion, each has duckbill hats, sunglasses, one has a beard, in short, they may not want to be recognized, or it is a coincidence? One is dressed for cold weather, one isn't, the other is definitely wearing apparel that is a tad strange to include a beard that even from a distance looks like a 5 & dime special. The NRA continues to rake in money in the wake of gun control activists vocally demanding the government strip away the rights of gun owners. The gun rights lobbying group broke fundraising records in March largely thanks to the gun control crowd. The numbers donâ€™t lie either. The National Rifle Associationâ€™s Political Victory Fund raised $2.4 million from March 1 to March 31 of this year, according to The Tampa Bay Times. As the March for Our Lives movement captured the mainstream mediaâ€™s attention because it fit their carefully crafted pro-government narrative, in the weeks after the Parkland shooting, the other side of the gun control debate enjoyed a big month of its own. The $2.4 million haul is the most money raised by the NRAâ€™s political arm in one month since June 2003, the last month when electronic federal records were readily available. No surprise the article fails to mention Mexico has the strictest gun laws in North America. â€œDeputies are confident that Florida governor Rick Scott will now have to fire Scott Israel, especially when learning about his officeâ€™s appropriation of taxpayer money. School shooter Nikolas Cruz was protected from arrest by Broward county school district officials thanks to a â€œcontroversial disciplinary programâ€� designed to combat â€œsystemic racismâ€� by limiting arrests of minority students. The Broward Sheriff?s Office Union continues to push for change in Broward County?s PROMISE Program following last month?s mass shooting in Parkland -- even though for the most part, the Sheriff's Office itself and Broward County Schools are keeping mum on the controversial program some say results in "see something, say little or nothing." Lawyers for the parents of two injured students, both 15, have sent letters of intent to file lawsuits against the agencies. The PROMISE program was praised by the Obama administration and the Broward school district was awarded $54 million in grants from the $4 billion 'Race to the Top' initiative. On Feb. 28 Sunshine State News reported possible ways the school system's PROMISE Program, and the aims behind it, may have stopped confessed shooter Nikolas Cruz from being arrested well before he killed 14 students and three teachers at Marjory Stoneman Douglas High School -- despite numerous allegations of criminal behavior. The PROMISE Program?s goal is to reduce the number of students arrested for minor infractions. But the pursuit of that goal may have stopped Cruz from entering the criminal justice system before carrying out the massacre on Valentine?s Day. "A Democratic president can declare emergencies, as well," Pelosi told reporters in the Capitol. "So the precedent that the president is setting here is something that should be met with great unease and dismay by the Republicans." Pelosi noted that Thursday marked the one-year anniversary of the shooting at a high school in Parkland, Fla., that left 17 students and faculty dead. She argued that the real national emergency is not illegal border crossings, but gun violence in the U.S.
"Let's talk about today: The one-year anniversary of another manifestation of the epidemic of gun violence in America," Pelosi said. "That's a national emergency. Why don't you declare that emergency, Mr. President? I wish you would. "But a Democratic president can do that."